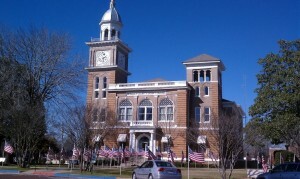 After a meeting in Warren (Bradley County), I had the chance to stroll around downtown Warren. I was impressed with how much of its historic fabric is still intact. an impressive two-story brick structure with towers. Distinctive features of the building include brick quoins arched windows with keystones, gauged brick voussoirs, denticulated cornices, and the usage of two colors of brick. A cut-stone water table extends around the entire building. The most distinctive feature of the building is the clock tower located on the southwest corner. The main body of the tower is two-and-one-half stories with a four-faced clock located atop. Centered above the clock is a cupola featuring archways, denticulated cornice and a hexagonal roof. 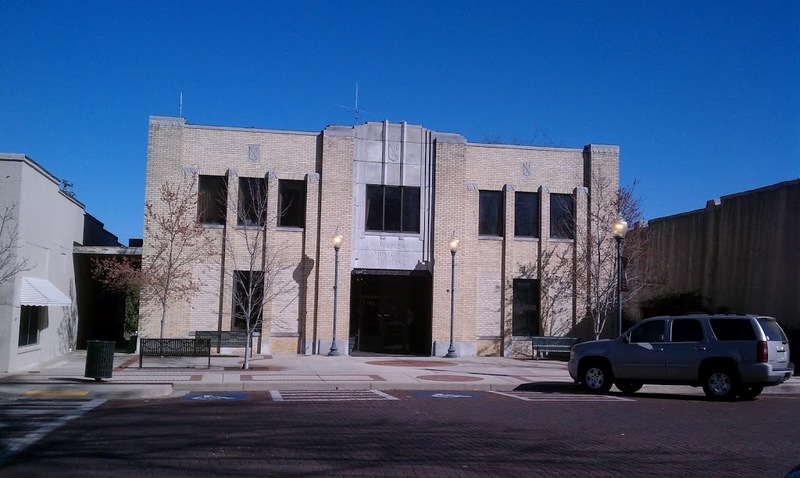 Near the courthouse are two Art Deco style buildings, the 1931 Warren Municipal Building and the 1948 Warren YMCA (now the Donald W. Reynolds YMCA after a 2005 remodeling and expansion). 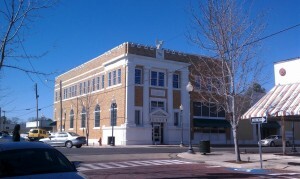 Two other bulding that caught my eye were the First State Bank of Warren (1927) and the Bailey House (ca. 1900). 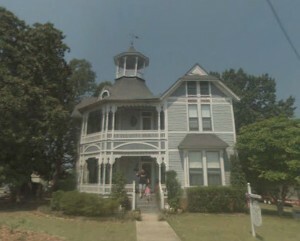 The Bailey house, built for a local druggist, has a unique cupola and other Victorian features. 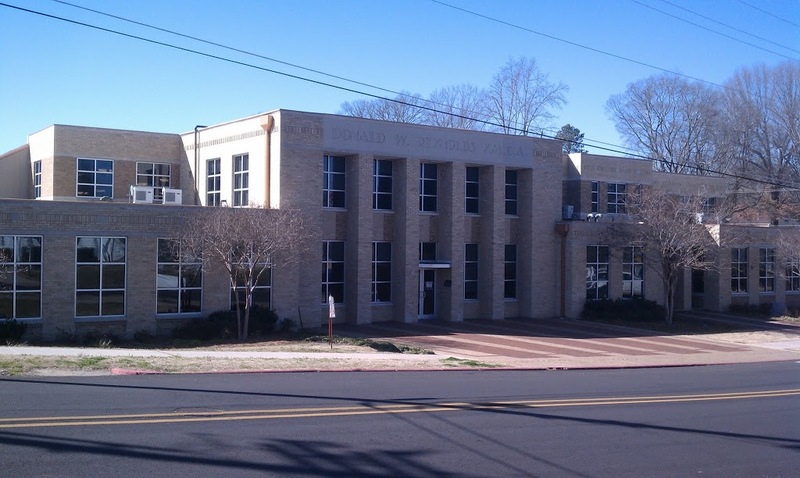 AHPP’s description of the Bailey house claims it “is one of the most architecturally interesting residential structures in south Arkansas.” The First State Bank of Warren struck me with its proportioned neo-classical architecture and the watchful eagle perched atop the building. First State Bank does not appear to be on the National Register. There are many other historic buildings in downtown Warren. 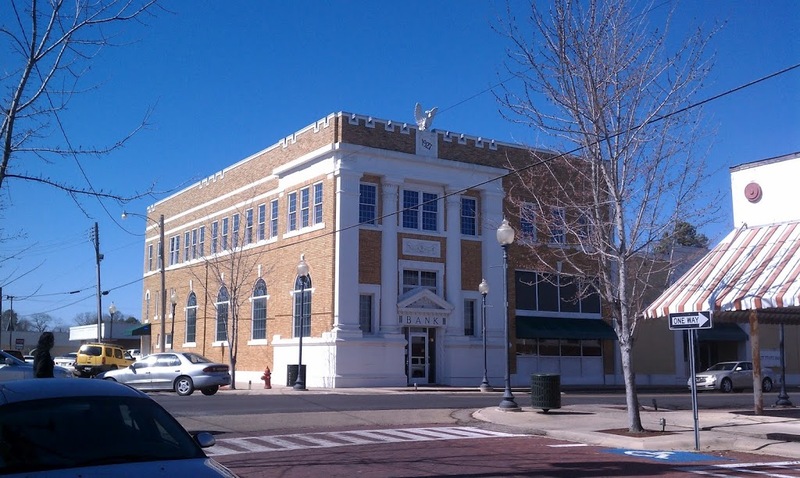 AHPP’s website lists 13 buildings that are on the National Register, so you can explore more there. Luckily, in July 2012, AHPP will hold a Walks in History Tour and we’ll be able to learn more. Historic Downtown Warren. 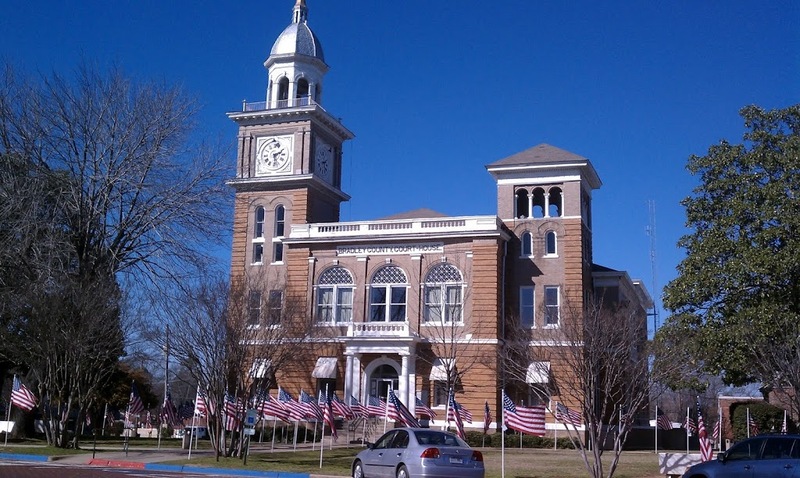 In 1880 Warren, the Bradley County seat, became the western terminus of the Ouachita Division of the Little Rock, Mississippi River & Texas Railroad, providing a reliable means of transportation for the town’s vast timber resources. A multitude of small lumber mills operated in Warren and Bradley County in the 1880s, but the industry was later dominated by large mills like the Southern Lumber Company and the Arkansas Lumber Company. The aforementioned companies partnered in 1899 to build the short-line Warren & Ouachita Valley Railroad from Warren to Banks to aid in the shipping of timber. Warren is also the self-proclaimed “Pink Tomato Capital of the World,” hosting the Pink Tomato Festival each June. The tour group will meet at the Dr. John Wilson Martin House at 200 Ash St. Co-sponsored by the Bradley County Historical Museum.